Amaze your loved ones by gifting them this Sweet Memories Chocolates Gift Set and make them crave for more. 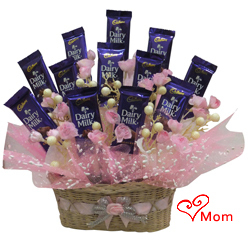 This Gift Set features 12Pcs Cadbury Dairy Milk Chocolates (13gm). (Note: Basket may differ as per avalibility).